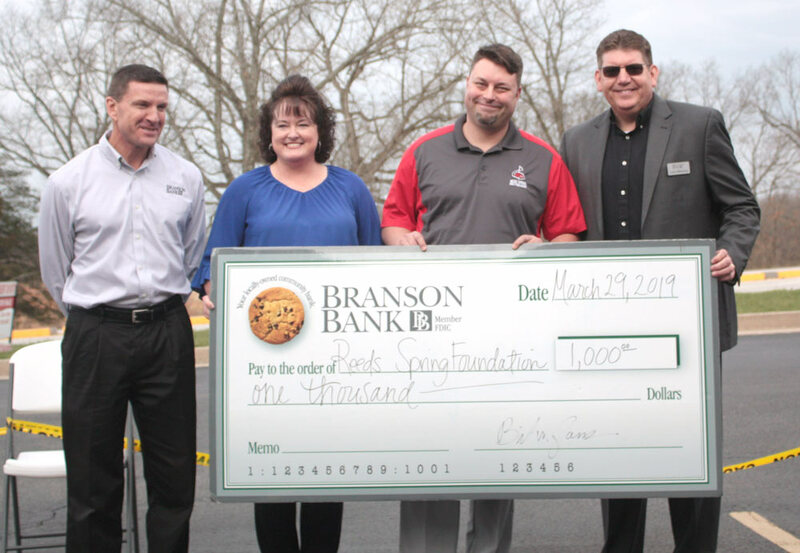 Branson Bank held a ribbon cutting ceremony on Friday, March 29, to celebrate their new branch in Branson West. 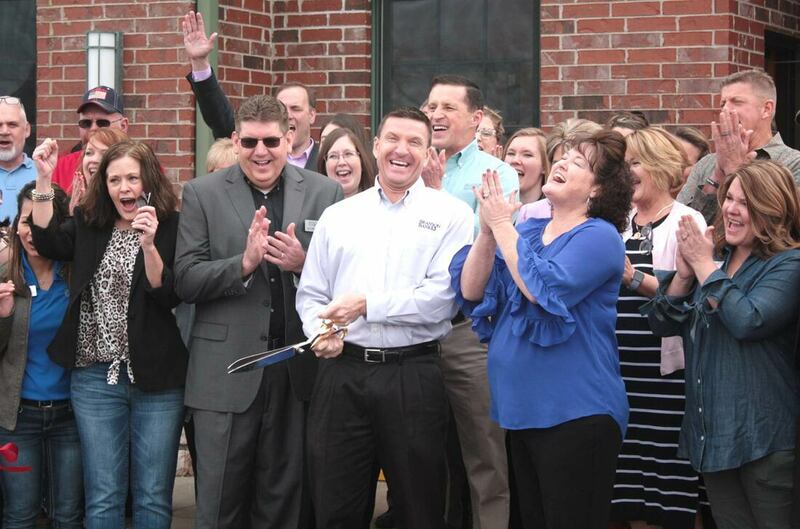 Branson Bank President Bill Jones is pictured above holding scissors, with Larry Mallory to his left and Paula Parton to his right. Mallory and Parton will oversee the Branson West location. The crowd of about 40 people cheered after the ribbon was cut. Part of the ribbon cutting celebrations included donating $1,000 to the Reeds Spring School Foundation.